In just a few years, digital assistants have become common place in homes, with adults and kids asking alarm-clock-sized devices about the weather, their favorite songs and much more. This week, IBM announced its own take on the trend with Watson Assistant. Like the others, Watson Assistant combines artificial intelligence, the cloud and the Internet of Things (IOT) to help users. In contrast, Watson Assistant is meant for other companies that want to build voice-activated virtual assistants in their own products. “Want your hotel’s rooms to remember a guest’s preferences for air-con? Or your car’s dashboard to be controllable via voice interface? IBM’s message to companies is: We can help you build that,” writes James Vincent for The Verge. IBM promises Watson Assistant will strengthen consumers’ connection to the brand through the experience, serve personalized experiences made possible with continual learning, and protect data to ensure secure and personalized interactions. This last point is especially relevant this week given the recent Cambridge Analytica and Facebook breach. “If you start running the entire world through Alexa, it’s an enormous amount of data and control to give to one company,” IBM’s Vice President of Watson IOT Bret Greenstein said. Vincent writes that instead of pooling information on users’ activities across multiple domains, each integration of Watson Assistant keeps its data to itself. This week, at THINK 2018, IBM’s business and technology event, HARMON demonstrated how it used Watson Assistant to create a digital cockpit experience in a Maserati GranCabrio. Other companies using Watson Assistant include Airwire, Munich Airport, Kaon Media and The Royal Bank of Scotland. 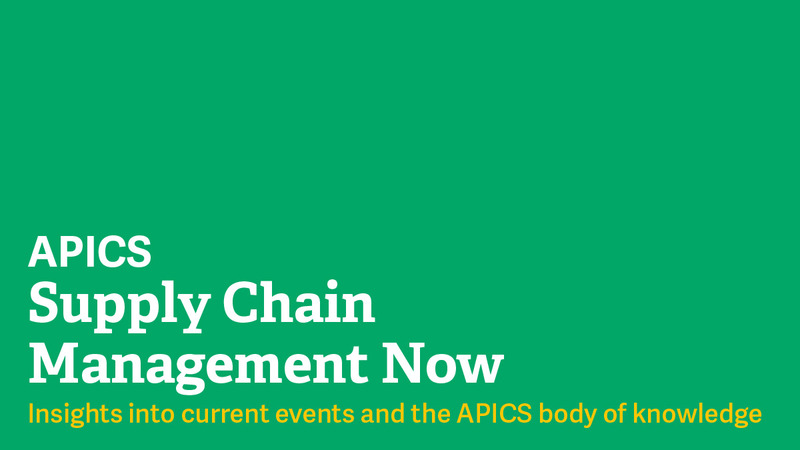 Supply chain professionals must constantly balance between using the best practices that exist today and anticipating the trends that will transform the field tomorrow. APICS has resources that can help you maintain equilibrium. Start on the APICS website by browsing publications and research topics.Take your knowledge to the next level by beginning your APICS certification journey. You can determine which APICS certification is right for you by trying out the education selector.